Juvenile macular degeneration affects children, teenagers and young adults. Unlike age related macular degeneration, this type of retinal condition is usually hereditary. Other names you may hear for this type of retinal disease are macular dystrophy, Stargardts, or vitelliform macular dystrophy. Although there are several types of juvenile macular degeneration, they all have one thing in common and that is they all affect the macula - a tiny spot in the middle of the retina that helps us to see clearly and to see straight ahead. 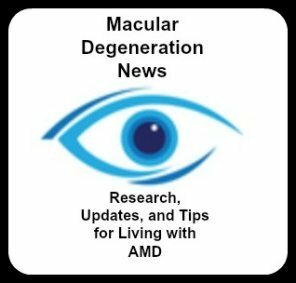 While degeneration is a term used more often for age related macular degeneration that affects older people, this type of central vision loss is correctly called macular dystrophy or early-onset macular degeneration. The macula is located in the back of the eye. It is responsible for our detailed and straight ahead vision - the vision that is needed for seeing faces, driving and reading. Peripheral or side vision is usually not affected. It is not blindness. Usually some type of vision changes like straight lines appear wavy or bent will be reported by a younger person to their eye doctor. But some of these forms of macular dystrophy can be first diagnosed by an eye doctor during a routine eye exam when seeing changes in the retina. Macular dystrophy results from defective genes. A recessive genetic disease means that the child inherited a defective gene from each parent. In a dominant genetic disease, the defective gene was inherited by one parent. Vitelliform macular dystrophy, also called Best Disease, is a genetic eye disease that affects the macula - the center of the retina that's responsible for our straight ahead vision and our sharp detailed vision. This disease is hereditary and is passed on by a gene. This form of juvenile macular degeneration affects children and young teens. The usual onset is from 3-15 years, with an average age of 6 years. The condition often is not detected until much later because visual acuity may remain good for many years. The disease is named after Frederich Best, a German ophthalmologist who discovered the eye disease in 1905. Vitellifrom macular dystrophy affects only the eyes. No other systems of the body are affected. In this genetic eye disease, a fatty yellow pigment (lipofuscin) builds up in the cells under the macula. Gradually these deposits accumulate and damage the photoreceptor cells that are critical for sharp, straight ahead vision. This accumulation of lipofuscin can be detected during an eye exam. 1) The childhood, early-onset form known as Best disease. 2) The adult-onset form begins later, usually in mid-adulthood, and tends to cause vision loss that worsens slowly over time. The two genes, BEST1 and PRPH2, develop mutations which then cause this disease to develop. Obviously, BEST1 mutations are responsible for Best disease. Only in some cases does it cause the adult-onset form. Changes in the PRPH2 gene can also cause the adult-onset form. Surprisingly, in less than a quarter of all people with Vitelliform macular dystrophy have these mutated genes been found. In most cases, the cause of the adult-onset form is unknown. Genetic testing can be done to identify if someone carries the genetic mutation for this retinal condition. According to GeneReviews, 12/12/2013, "Each child of an individual with Best vitelliform macular dystrophy has a 50% chance of inheriting the mutation." This retinal condition tends to run in families and is linked to an autosomal dominant disorder. Genetic mapping has linked the disease to the arm of chromosome 11 (11q12-a13). The abnormality is in the retinal pigment epithelium (RPE), a layer of the retina. Symptoms of this macular degenerative disease and the severity of the symptoms vary from person to person. In fact a person may not have any changes in their vision at all when the first signs of vitelliform macular dystrophy are seen during a routine eye exam. How fast the retinal disease progresses is also unpredictable since it is different for everyone who has it. One thing that those with this form of macular dystrophy have in common, is that normally both eyes are affected. However, how it affects one's vision may be different in each eye. The first sign of this disease is an appearance of a yellow or orange yolk like spot in the macula lutea. Best disease accumulates a mass of fat-like material that resembles an egg yolk. Vitelline is a word that means yolk-like. Usually visual symptoms don't appear until the egg yolk fat deposit breaks up. In this genetic eye disease, a fatty yellow pigment, called lipofuscin builds up in the cells under the macula - the center of the retina responsible for our straight ahead vision. Gradually these deposits accumulate within the RPE cells and the sub-RPE space, particularly in the foveal (center of the macular) area. A degeneration of the RPE occurs along with damage to the photoreceptor cells that are critical for sharp, straight ahead vision. The accumulation of lipofuscin in the retinal pigment epithelium (RPE) is a risk factor for macular degeneration. There are several stages to this type of macular dystrophy. Some carriers have normal eye exams and remain without any symptoms. Not all individuals progress beyond the early stages. Other individuals can skip from the earliest stages to the latest stages. Well-circumscribed, 0.5-5 mm round, elevated, yellow or orange lesion; described as an egg-yolk appearance; usually centered on the fovea; can be multifocal; the rest of the fundus(the portion of the inner eye that can be seen during an eye examination by looking through the pupil) has a normal appearance. The yellow material can break through the RPE and accumulate in the subretinal space in a cyst with a fluid level formed. The yellow material will shift with extended changes in position (60-90 min). This stage most often is found in the teenage years, but it has been described in individuals aged 8-38 years. Scrambled egg appearance is due to the breakup of the vitelliform lesion. Pigment clumping and early atrophic changes may be noted. Visual acuity may deteriorate moderately. As the yellow material disappears over time, an area of RPE atrophy remains. This appearance is difficult to distinguish from other causes of macular degeneration. Visual acuity can deteriorate more markedly at this stage. Following the atrophic stage, choroidal neovascularization can develop which leads to a whitish subretinal fibrous scar. The patient still has peripheral vision. Vitelliform macular dystrophy is a congenital retinal disease - meaning that a person has an abnormal gene at birth that has been inherited from the parents. However, when people inherit abnormal genes, the expression of these genes can vary greatly from person to person. When they are expressed and how they are expressed will be different for each person. Some may see the expression of this defective gene earlier than another person. Stargardts disease is the most common form of juvenile macular degeneration. The changes in vision are usually noticed before the age of 20. It was first discovered in 1901 by a German ophthalmologist, Karl Stargardt. This genetic form of macular dystrophy is the result of both parents carrying the recessive gene - which means they do not know that they are carriers. The responsible gene, ABCA4, has recently been identified which will be useful for future gene therapy. This retinal condition is usually seen after the age of 6 and before the age of 20. Although they may have had it for some time, some people may not be aware that they have this disease until they are 30 or 40 years old. 2) the parents do not have the disease themselves. There also is a form of Stargardt's that is inherited from a dominant gene. Males and females are affected equally. This genetic form of macular dystrophy results in a dying of the photoreceptor cells in the macula which provide us with our detailed and central vision. Initially, the child will complain of some vision loss, but JMD may not be detected during an eye exam and the macula may appear normal. This often causes delayed diagnosis or a lack of validation of the child's complaints of vision problems. Later, as Stargardt's progresses, and it will, a fluorescein angiogram will show changes in the choroid, a layer of blood vessels that feeds the macula. Eventually small yellowish-white flecks (fundus flavimaculatus) appear in the peripheral retina. √ Small blind spots; objects may disappear and reappear causing a come and go effect. Supplementing with Vitamin A is contraindicated for those with Stargardt's Disease. It is believed that the gene mutations lead to abnormal synthesis of the vitamin in the eyes, resulting in increased loss of vision. Because people with Stargardt’s Disease are missing an essential enzyme, they are unable to get rid of the waste products from metabolized Vitamin A. The build up of these waste products leads to the death of retinal cells, so supplementing with Vitamin A should be avoided. Also, certain foods should be restricted that are high in Vitamin A. "We have found that biomarkers of long-term elevated dietary intake of omega-3 fatty acids such as DHA and EPA are inversely associated with severity of disease phenotype in Dominantly Inherited Stargardt's Disease (STGD3)STGD3 patients. Therefore, the purpose of this study is to follow STGD3 patients as they supplement their diets with DHA/EPA." "The aim of this research is to investigate the influence of short-term Saffron supplementation on retinal function in STG/FF patients carrying ABCR mutations. The macular cone-mediated electroretinogram (ERG) in response to high-frequency flicker (focal flicker ERG) will be employed as the main outcome variable." Advanced Cell Technology received FDA approval to begin Phase I clinical trials using stem cells for the treatment of Stargardt's Macular Dystrophy. The clinical trial site is Jules Stein Eye Institute, UCLA School of Medicine in Los Angeles, California, United States. A press release from February 2011 highlighted a recent patent issued to ACT for their "proprietary single-blastomere technology that provides a non-destructive alternative for deriving human embryonic stem cell (hESC) lines." In other words, the embryos are not affected or destroyed by this new technology. When the trial sites have been determined I will report on it here. To be eligible a patient must be over 18 and have advanced Stargardt's macular dystrophy. To learn more about this study go to the National Institute of Health's Clinical Trial website. A company called Oxford BioMedica is working on a gene therapy treatment that replaces the defective ABCA4 gene that causes Stargardt disease by using their LentiVector® technology to deliver a corrected version of the gene into the cells of the retina. According to Oxford BioMedica, "The generation of a functional protein from the corrected gene has the potential to reduce or even halt the ongoing retinal degeneration." There are many ways to help children and young adults live active and productive lives in spite of their juvenile macular degeneration through various visual aids like large print books, electronic book readers, large button cell phones,special glasses, page magnifiers, and computer programs. To maximize the existing sight of a patient and to learn tips for living independently, it is best to utilize the services of a low vision rehabilitation specialist. This specialist can assess the needs of an individual and make recommendations for visual aids to help a person at home, at school or at work. Low vision rehabilitation specialists can help identify and prescribe the best glasses, magnifiers, computer programs and aids to help children or young adults with juvenile macular degeneration. They can teach them tricks and tools to use their peripheral vision and other senses like hearing and touch.